Rigatoni, dry or 6 lbs. cooked 2 lbs. 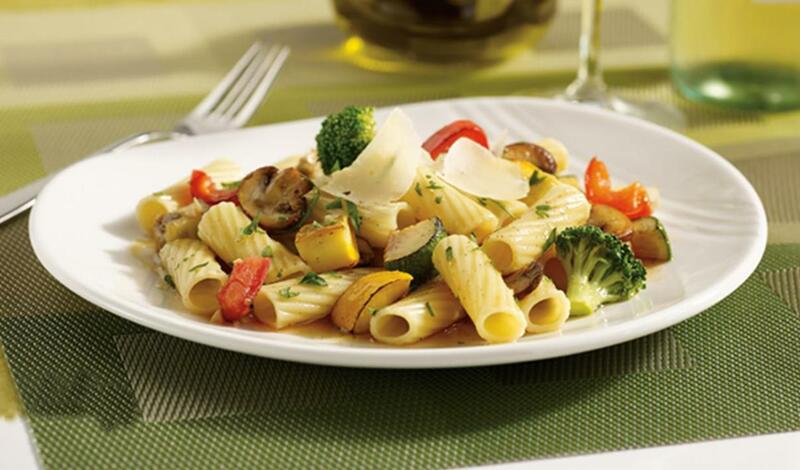 Toss pasta with roasted vegetables (sub recipe below); add Knorr® Professional Liquid Concentrated Vegetable Base. Sauté mushrooms in olive oil, then add garlic then tomatoes.